A trio of bright white cushion cut diamonds are interlinked to create a dazzling design. The cushion cut diamonds total 2.46 carat. The top and bottom diamonds feature gorgeous, prong-set halos of natural fancy vivid yellow diamonds that also adorn the top of the wire. The vivid yellow diamonds total .46 carat total. 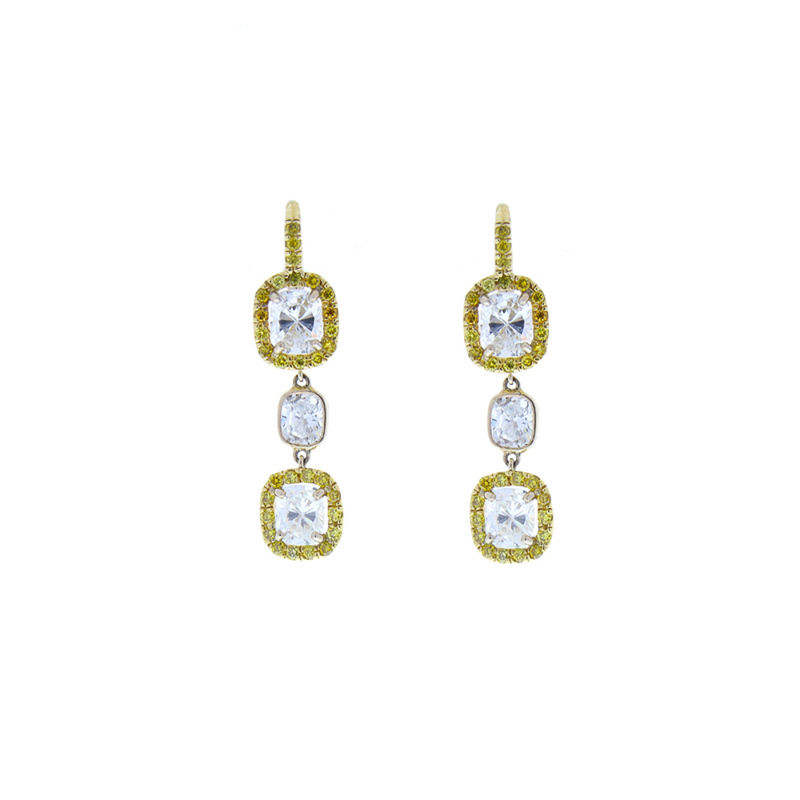 These earrings are hand-wrapped in 18 Karat white and yellow gold and are an absolute delight to wear.